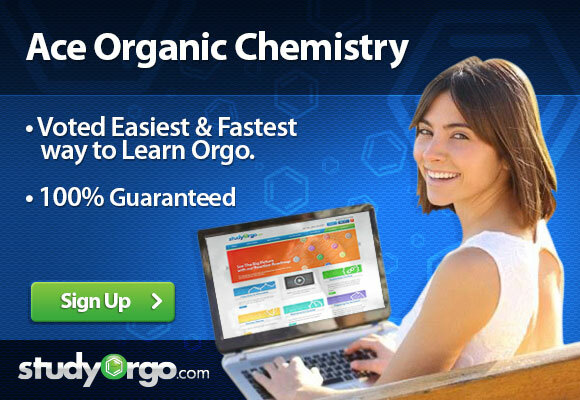 Here at StudyOrgo.com we like to simplify things. You know that whole big chapter in your textbook on Chirality, Stereoisomers and Enantiomers that’s so confusing that you’re just lost?! Well, let’s see if we can simplify things. Definition: A structure that possesses both a plane of symmetry and at least one asymmetric carbon. Meso compounds are achiral. A chiral carbon has four different items attached to it. Step 2: Assign the numbers 1 through 4 to each item attached to that carbon. a. Often you will have a tie. In that case, go to the next item after that atom to break the tie and determine the priority. b. When encountering double or triple bonds, pretend they are single bonds and duplicate the items attached to that bond. Duplicate twice for triple bonds. Step 3: Draw a circle from 1 to 2 to 3 to 4. Before starting, look and see where item #4 is. If item #4 is within the plane of the screen or paper: redraw the image to have item #4 going into the plane of the screen or paper before continuing. If item #4 is going into the screen or paper or coming out of the screen or paper, continue as follows. Determine if the circle was drawn clockwise or counterclockwise. Usually this item is a hydrogen. If item #4 is in the plane positioned behind you or is going into the plane of the screen or paper then leave the assigned letter as is. However, if item #4 is positioned in front or is coming out of the plane of the screen or paper, then assign the opposite letter from what you assigned in Step 3. Remember, if item #4 is within the plane of the screen or paper: redraw the image to have item #4 going into the plane of the screen or paper before determining clockwise or counterclockwise (see step 3 above).